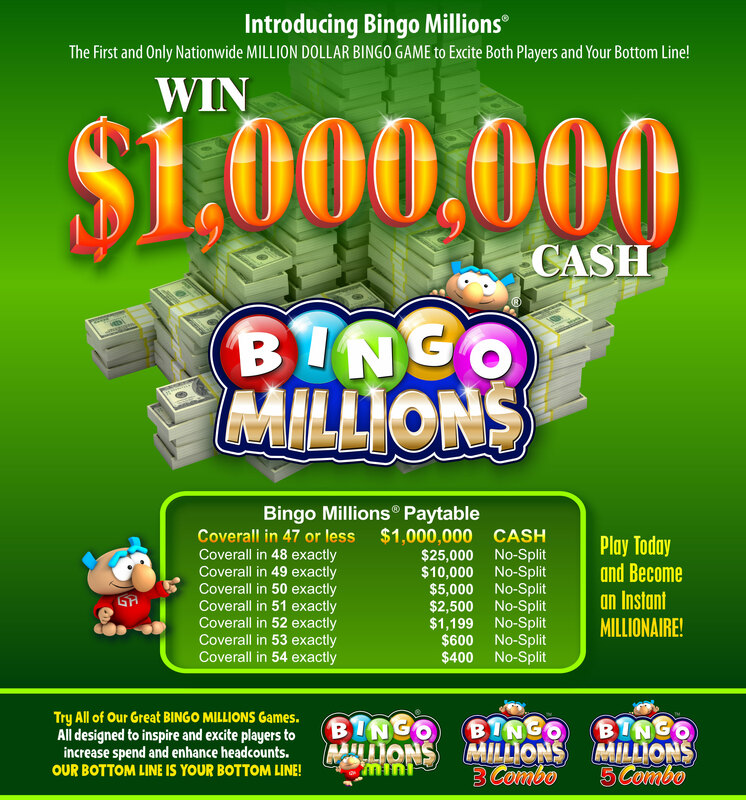 Purchase the Bingo Millions Bingo Card and hit a Coverall Bingo in 47 or less and win $1,000,000 instantly! 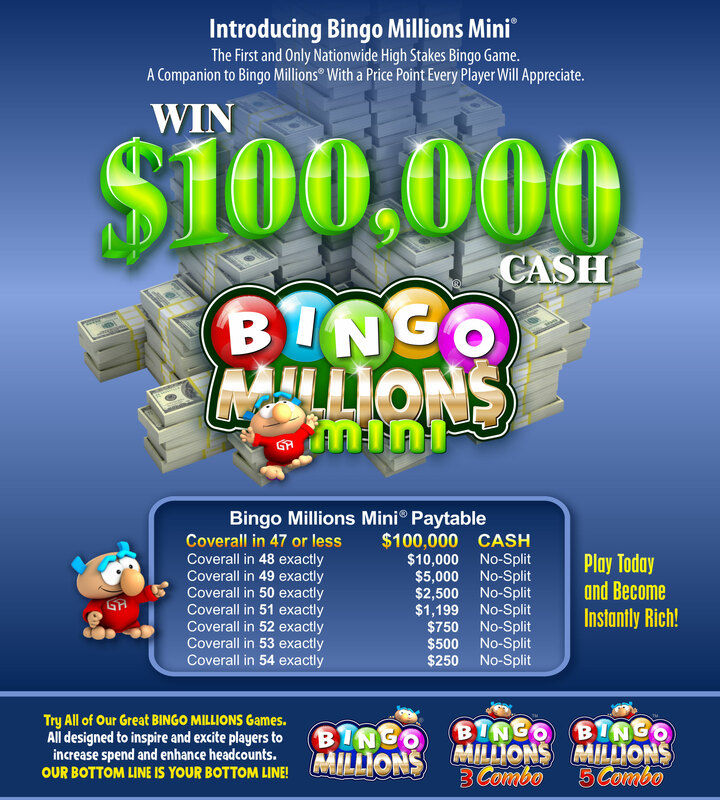 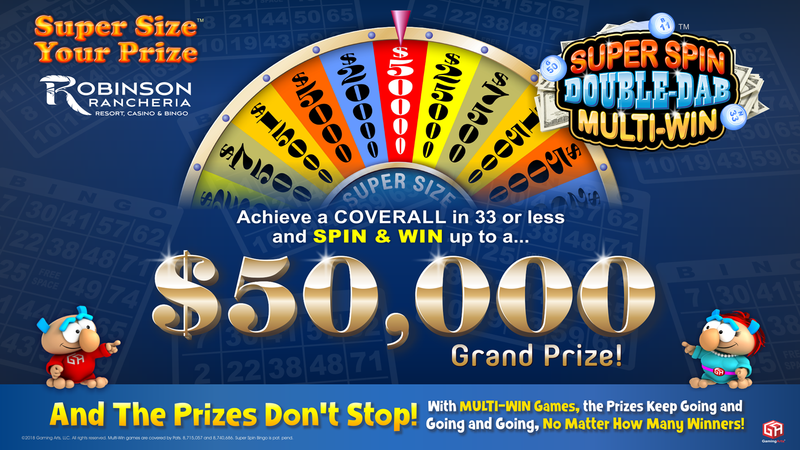 Play Bingo Millions Mini for a chance to win $100,000! 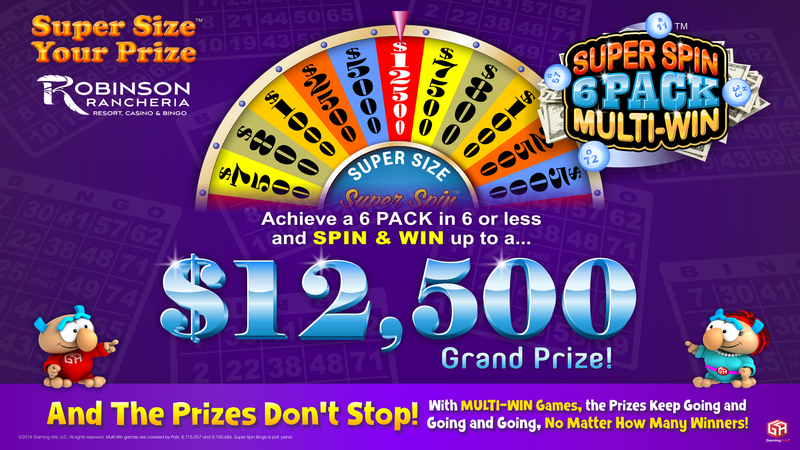 © 2019 Robinson Rancheria Resort & Casino.